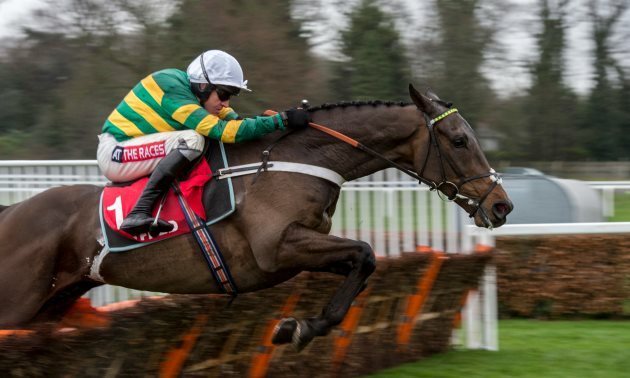 We preview the Martin Pipe Handicap Hurdle at the Cheltenham Festival and give our best bet in the race, as the Irish look to win this for the fifth time in the last six years. 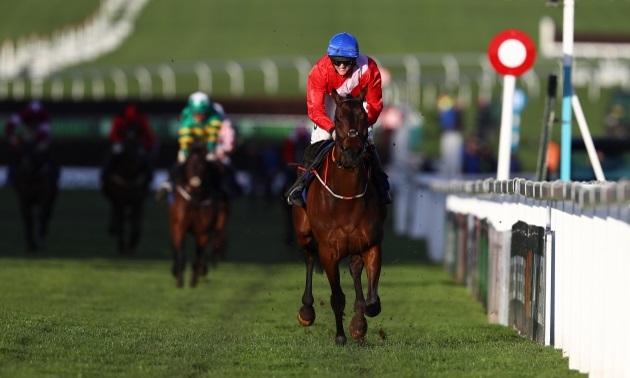 Thanks to a tweak to the schedule on the final day, the Martin Pipe now holds the honour of being the finale of the 2019 Cheltenham Festival, and it is a typically wide-open renewal. A good starting point is with the Irish raiders, who have a good record in this race, with four of the last five renewals heading back over the Irish Sea. 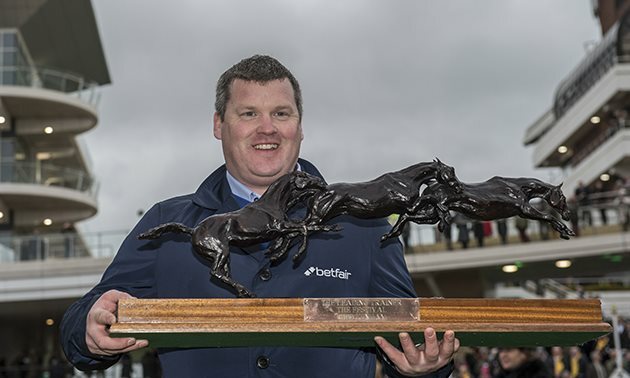 Top on Timeform’s weight-adjusted ratings is the Gordon Elliott-trained Cartwright, whose losing run stretches back to just shy of 12 months, but he’s in better heart than his recent form figures have suggested, looking as though he would have benefitted from a stronger gallop when twelfth at Leopardstown last month. He was a prolific stayer on the Flat, winning six times from 14 starts, and he could be the one to side with considering he’s still unexposed over this sort of trip over hurdles. Also worthy of consideration are Cartwirght’s stablemates, Dallas des Pictons and Defi Bleu. 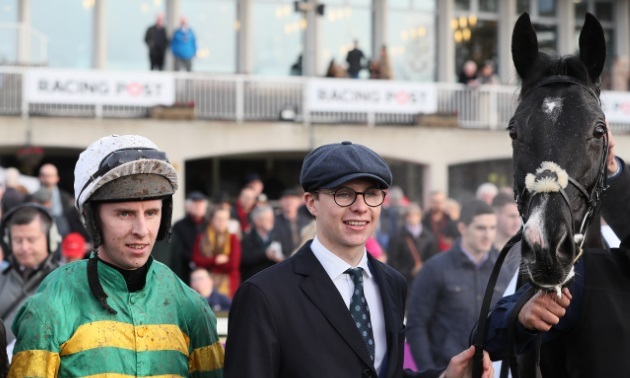 The latter turned in a poor effort when eleventh in Grade 1 company at Leopardstown last month, and though he will find this easier, of more interest is Dallas des Pictons, who is likely to be sent off as favourite. He’s improved with each of his starts this term, and took a big step forward when winning on handicap debut at Leopardstown last month, showing a good attitude to hold on close home. Raised 10 lb for that, he’s one to keep on the right side. Two more Irish challengers to note are Early Doors and Acapella Bourgeois. The latter hasn’t been seen for 425 days, but has regularly threatened to be well-handicapped during his career. He was good enough to finish sixth in the 2017 RSA Chase, meaning a BHA-mark of 144 could prove lenient, but he was proving expensive to follow when last seen and has something to prove. More interesting is Early Doors, who was third in this race last year. He’s spent his time in better company since, making late headway when second over 3m to Apple's Jade in the Grade 1 Christmas Hurdle at Leopardstown last time. He’s just 3 lb higher than 12 months ago, and has strong claims of winning this time around. Two more Irish challengers to note are Daybreak Boy, who has won two of his last three starts and is respected of his opening mark, and Getareason, who has been running respectably without progressing in graded novice company this season and will find this much easier. The British challenge is headed by Pym, Big Time Dancer and Doctor Dex. The last-named arrives here having produced a career-best effort to complete a double last time, though he was all out to do so, and would need more here off his opening handicap mark of 129. Big Time Dancer is another who arrives here on the back of a double, and he improved significantly to achieve that feat when winning at Kempton in January, doing so cosily, and he will likely give another good account now raised 9 lb. The most interesting of the trio, though, is Pym, who admittedly isn’t the most talented in-mate at Seven Barrows, but has shown plenty of ability in his own right, showing a good attitude to win a novice contest at Kempton last time, and his opening mark looks fair. In conclusion, it looks worth siding with Cartwright, who is in better heart than his form figures would suggest, and this prolific Flat stayer is unexposed over this sort of trip over hurdles. Stablemate Dallas des Pictons has been the subject of a big gamble in recent days and he's clearly very progressive, but Cartwright looks the value play. Of the rest, Early Doors and Not That Fuisse seem sure to go well.